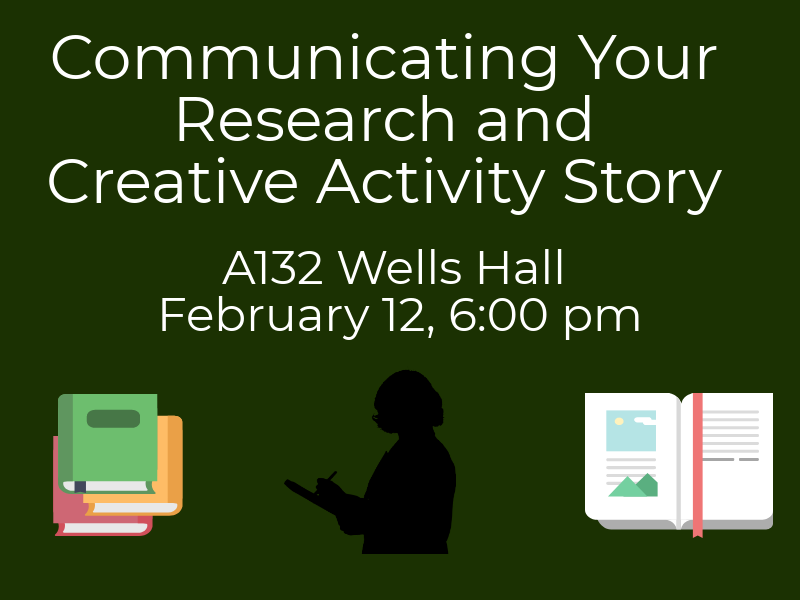 Clearly and succinctly communicating your research and creative activity story is a key component for advancing your undergraduate research career. David Poulson (Knight Center for Environmental Journalism) will show you how to hone your message into a concise and easily understood story. Curious about what it’s like to be a faculty member? Attend this free networking lunch to learn more from MSU faculty members about their career paths. Event registration coming soon!